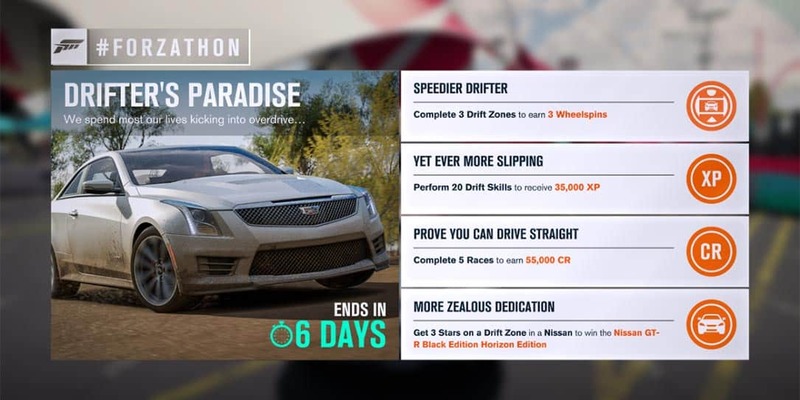 Forza Horizon 3 #Forzathon November 2-9: "Drifter's Paradise"
This Forza Horizon 3 #Forzathon event starts at 1:00 p.m. PT on November 2nd and closes at 12:59 p.m. PT on November 9th. Forza Horizon 4 may be here with its #Forzathon overload but that doesn’t mean Playground Studios has given up on Forza Horizon 3! So here we are, another week and time for another Forza Horizon 3 #Forzathon event! The Forza Horizon 3 #Forzathon November 1-9th event gives you a chance at the Nissan GT-R Black Edition Horizon Edition and the usual XP, Credits, and Wheelspins. Oh, and don’t forget to check out this week’s Forza Horizon 4 #Forzathon challenges. It looks like Playground Games has shifted the times for their #Forzathons. This Forza Horizon 3 #Forzathon event starts at 1:00 p.m. PT on November 2nd and closes at 12:59 p.m. PT on November 9th. Drifting… yay! /sarcasm… Anyways, there are plenty of you that are into drifting and this week’s Forza Horizon 3 #Forzathon is meant for you! Even for us non-drifters, it shouldn’t be all that difficult though. For starters, head to some Drift Zones and complete three of them — meaning get at least one star — to earn 3 Wheelspins. 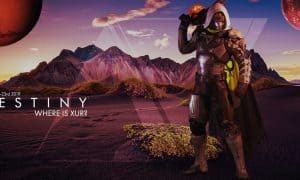 You should also have completed 20 Drift Skills while doing those Drift Zones to get 35,000 XP as well. And if you’re REALLY LUCKY GOOD, you’ll have 3 starred one of them and snagged yourself a Nissan GT-R Black Edition Horizon Edition… edition. All that should be left after your Drift Zone driftapalooza is completing 5 races to earn yourself 55,000 bonus Credits. There are plenty of short tracks you can set up as one lap races to get this done quickly. What do you think about the “Drifter’s Paradise” Forza Horizon 3 #Forzathon event? Are you going to keep completing the Forza Horizon 3 #Forzathons or are you moving on to Forza Horizon 4? Let us know in the comments below or on Google+, Twitter, or Facebook.